Ahead of Rosh Hashanah, payments distributed to Romanian Holocaust survivors in Israel - including one 104-year-old. Ahead of Rosh Hashanah, the World Jewish Restitution Organization (WJRO) today announced the distribution of almost NIS 1 million to support some 142 needy Romanian Jewish Holocaust survivors in Israel – including one Holocaust survivor who is 104 years old who lives on her own in Israel and was happy to hear of the new payment. The funds have been made available by the Caritatea Foundation in Romania. Overall this year, over NIS 12.5 million has been provided to some 2,460 needy Holocaust survivors of Romanian origin who reside in Israel. Over the last three years, they have received more than NIS 32.5 million. 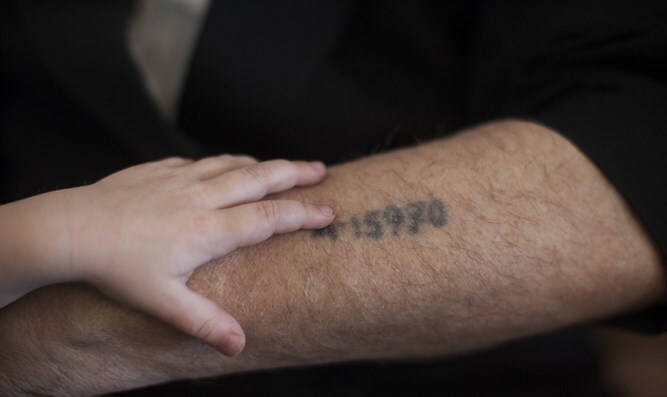 Payments of NIS 7,000 were made to 1,393 Holocaust survivors which receive a supplementary income payment from the Bituach Leumi (hashlamat hachnasa). An additional 1,067 needy survivors, who are categorized based on income and disability as Nizkak, according to the definition of the Authority for the Rights of Holocaust Survivors, received a grant of NIS 2,615 each. Additionally, The World Jewish Restitution Organization (WJRO) has launched of a new fund - the Romanian Survivor Relief Program (RSRP). In the 2017, the first year of the program, over $600,000 was distributed to survivors living outside Israel and Romania. This year $1.3 million will be distributed. The program for Romanian Holocaust survivors is administered by the Claims Conference on behalf of the Caritatea Foundation, which was formed as a partnership of the WJRO and the Federation of Jewish Communities in Romania (FEDROM) to deal with the return of former Jewish communal property. The Claims Conference worked with the Israeli government to identify the elderly survivors who qualify for the grant. WJRO, together with FEDROM, negotiates for the restitution of Jewish property seized during the Holocaust and the Communist-era in Romania.